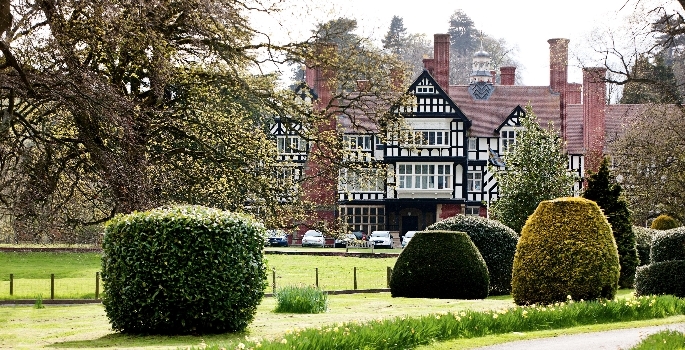 The College enjoys not only a stunning setting but also a beautiful main building, Bedstone Court. Bedstone Court was designed by Thomas Harris and completed in 1882 for Sir Henry Ripley, MP for Bradford. It is a typical Victorian (1837-1901) style building, and is one of the very few Calendar houses in Britain having 365 windows, 52 rooms and 12 chimneys. The College site occupies 40 acres in attractive grounds and gardens. Founded as a boys’ senior school in 1948, it was reorganised as a charitable trust in 1962. The preparatory school was established in 1972 and the pre-preparatory and nursery section in 1994. The college began to admit girls in 1972. In 1998 the college resumed use of Bedstone Court, the main building accommodating boy boarders as well as the administration of the college, after severe fire damage two years earlier. The Murch Sports Centre opened in 2001. Other development, especially to expand the preparatory school and to enhance the teaching of DT and art, is planned. Numbers, particularly day pupils have risen in the last few years and are now larger than at any time in the history of the college. Today the College caters for young people between the ages of three and eighteen years in the pre-preparatory, preparatory, and senior schools.